I was incredibly lucky to have received a copy of Spark Joy from Goodreads First To Read Program. Warning: This is going to be a long review, because this is a book I am passionate about. Let me tell you something, this book came into my life for a reason. I don’t belong on hoarders, but given more time and a little less motivation to keep tidy, I could. 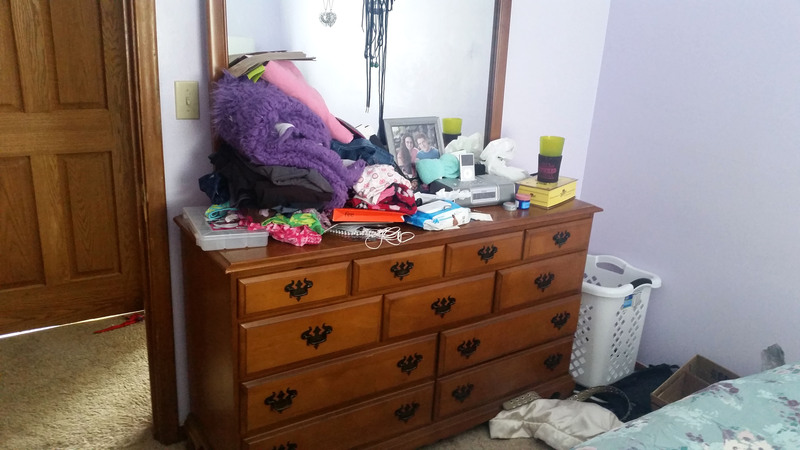 My clutter is all over, and I didn’t know how to get started and keep the momentum going. 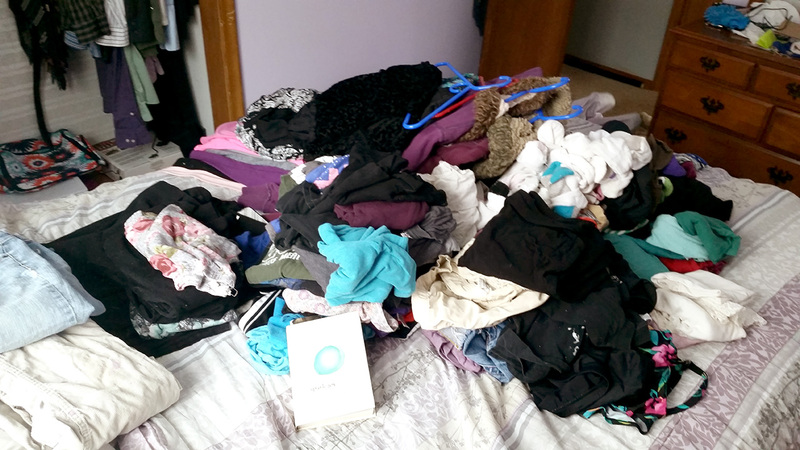 There’s a reason Marie Kondo’s first book is called The Life-Changing Magic of Tidying Up. 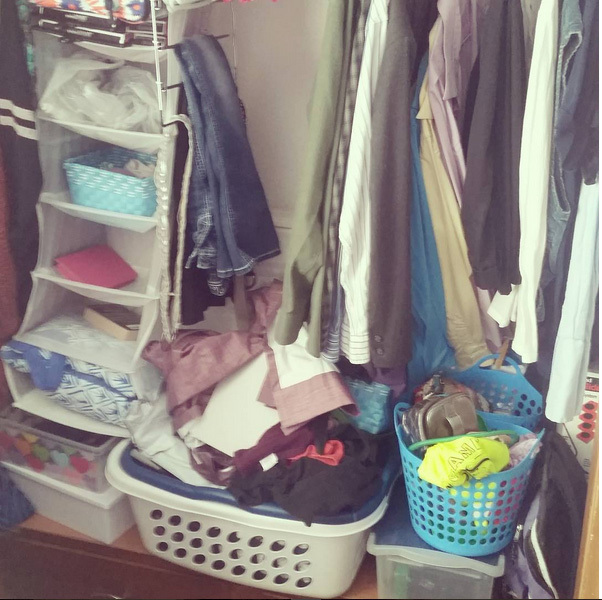 The KonMari Method is life changing. At least for me. NOTE: This book contains little illustrations to better understand some of the folding and organizing techniques, but there are no actual photographs. There are not a lot of illustrations, but they certainly add a nice bit of charm to the book and were helpful for me. In full disclosure, I did not read the first book. I’m not sure if I would have read this book had I not won a free copy, but boy am I glad I did. (And upon finishing this book, I went out and bought the first!) 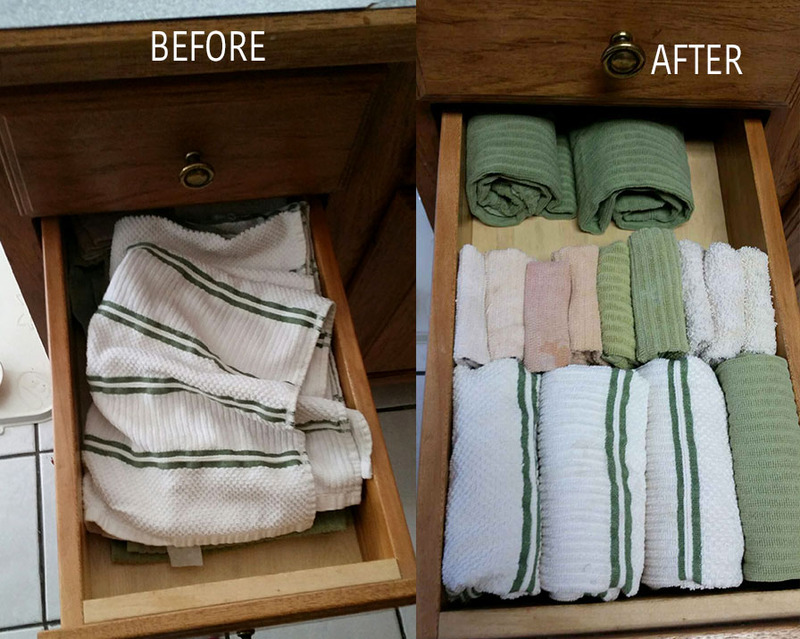 Unless you’ve been hiding under a rock, you’ve probably heard of Marie Kondo (aka KonMari) and her Japanese art of tidying. If not, it’s okay. I’ll explain. In a nutshell – this is a book for people who know they need to declutter their homes and lives, but are not really sure how or where to begin. (Raises hand.) That’s me. She also touches on the difference between cleaning and tidying. I’ve always used them interchangeably, but there really is a difference. 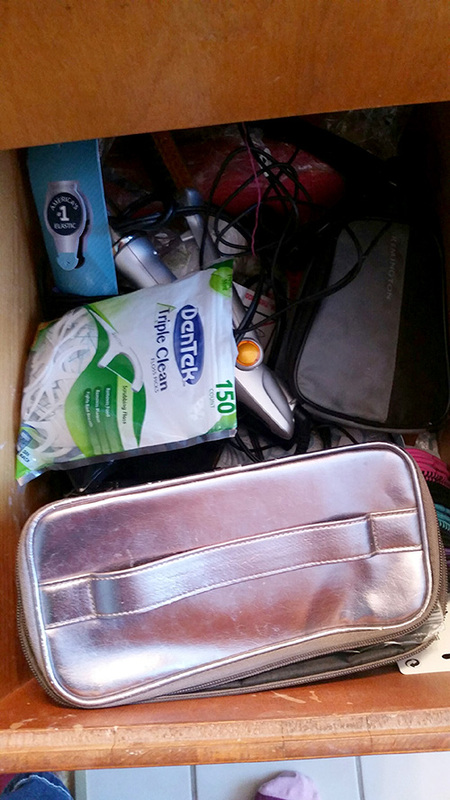 You pull out your Mr. Clean or vinegar spray to clean, but you put things where they belong when you tidy. 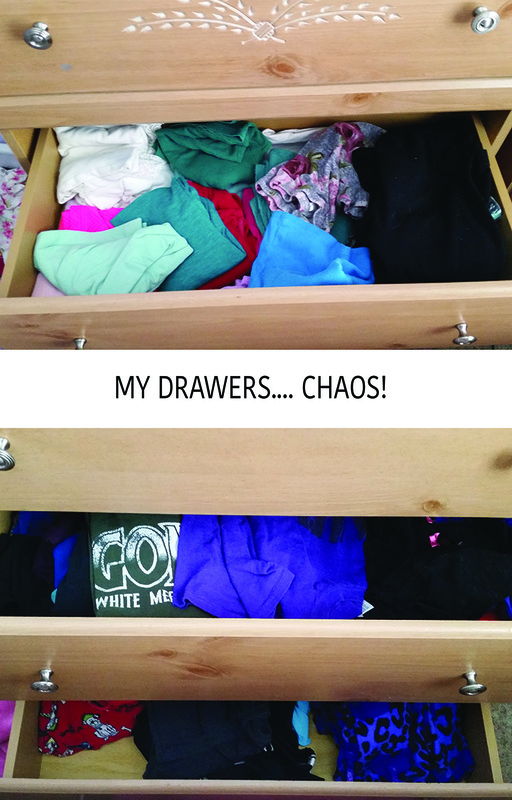 There’s a section, on page 31, called ‘The Clutter Photo Shock Treatment.’ This is actually something I do myself. 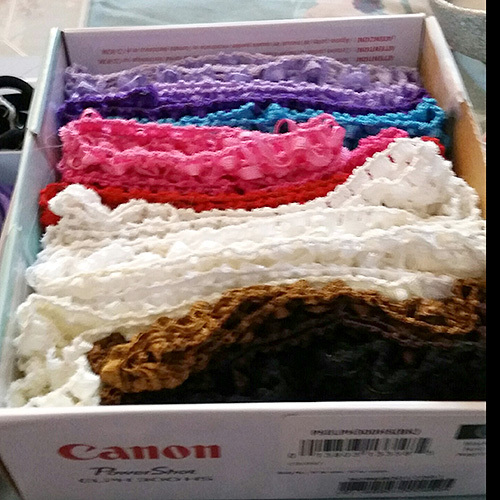 I take photos before I start tidying and I post them to Facebook. Essentially, I hang my dirty laundry for the world to see. I own my clutter and my shame. 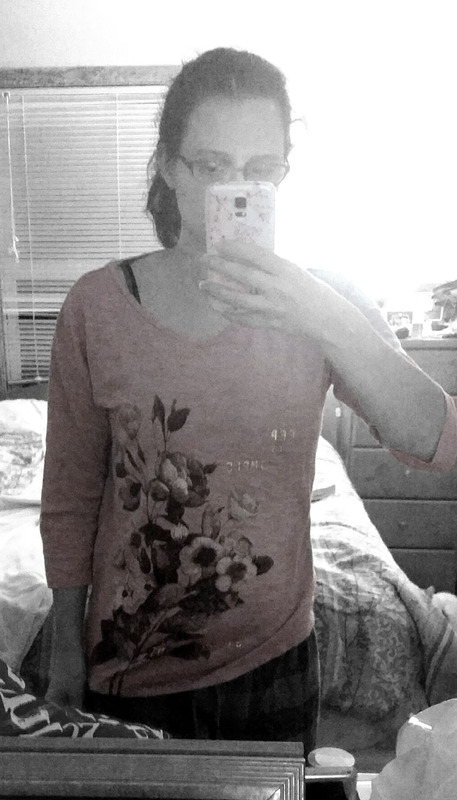 After I post my “after photo”, (which isn’t often enough…) the words of affirmation from my friends and family are motivating to do more. 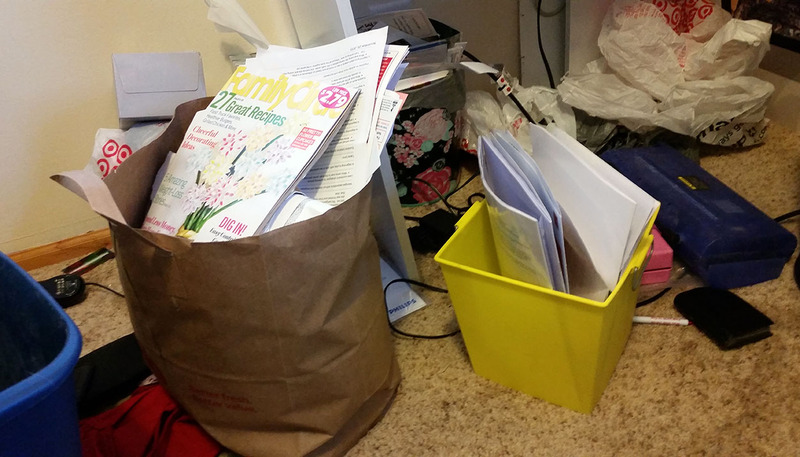 But, the clutter keeps piling up because I don’t get rid of stuff. And let’s talk about stuff. Do we really need all the stuff we have in our lives? KonMari says no and I agree. But it’s hard to let go. What I love about this book is that it tells you it’s okay to let go. I know, it sounds stupid, why should I take the advice of a book when I already know it’s okay to let stuff go, I just won’t? For me, I think it’s because I’m reading someone else’s words. Someone else is telling me, “Hey, do you really need those photos from your 10th grade Snow Daze dance? When was the last time you looked at them? Do you even talk to those people anymore?” And, honestly, the answer is no. I don’t need to keep them. Especially since I long ago scanned them into the computer and put them in a Facebook album. There’s absolutely no need for me to hang onto the physical prints anymore. It’s been over 15 years. Letting them go is like a weight off my shoulders. 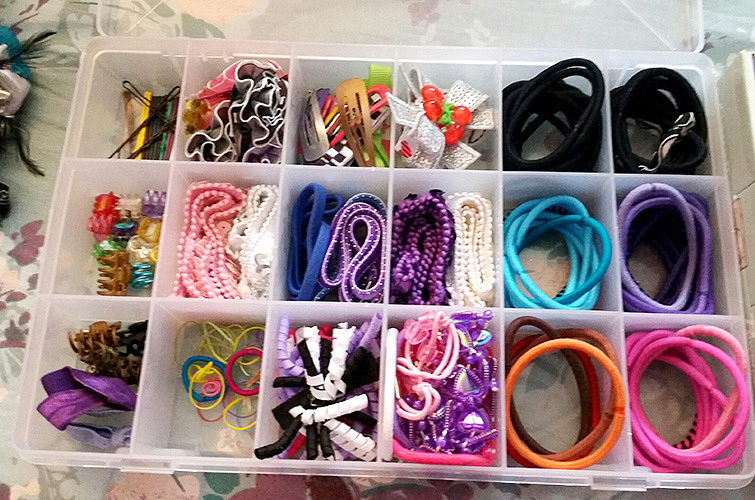 Organizing by category is key and probably one of the reasons I’ve failed so often in my own tidying sprees in the past. “Remember to store things of a similar nature to each other. 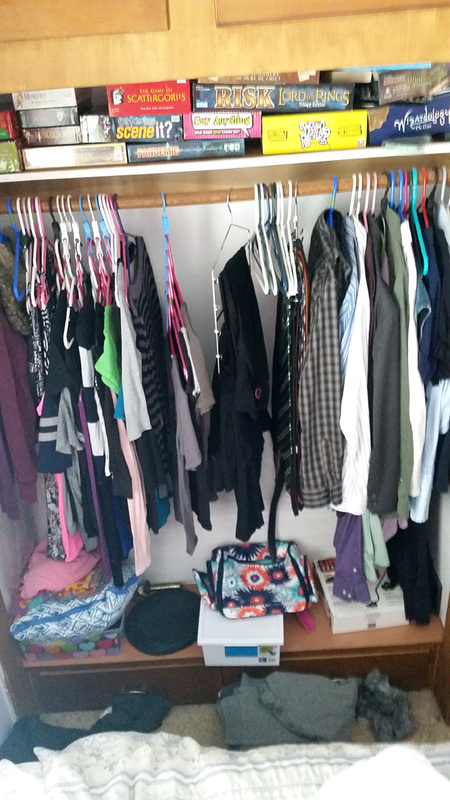 Storing should go very smoothly if you repeat this step each time.” This means, keep your clothes together (obviously. Exception being things like Winter jackets, those would go in your entry closet with other things belonging in the ‘outerwear category.’) Other examples might be to keep all of your electronics together (perhaps keep your digital camera in your desk drawer to near your computer.) You might have a hobby area of storage. There’s no wrong way to categorize, as long as it makes sense and works for you. 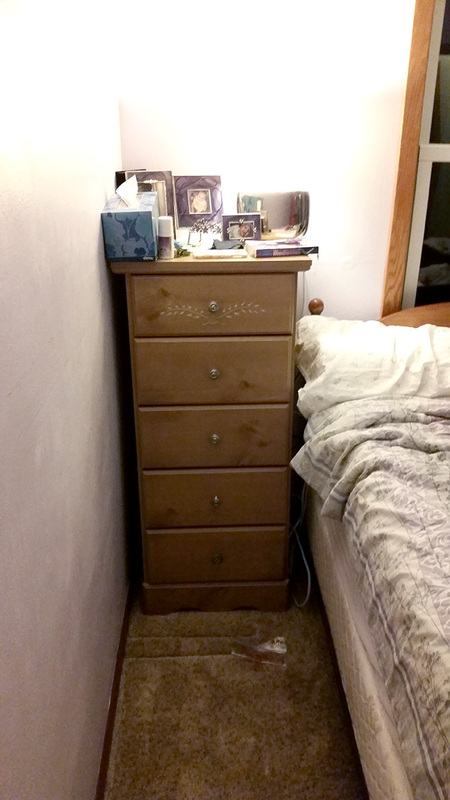 Perhaps KonMari is best known for her clothing storage – essentially, storing your clothing folded upright. 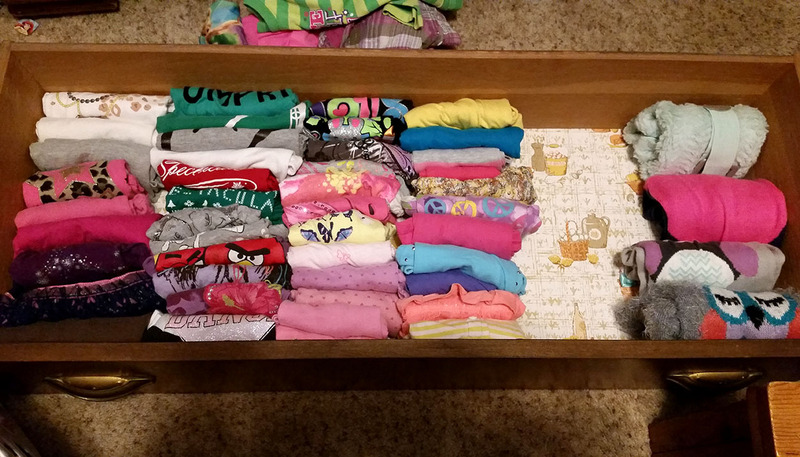 Search YouTube for “KonMari Method Folding” and you’ll see exactly what she means. 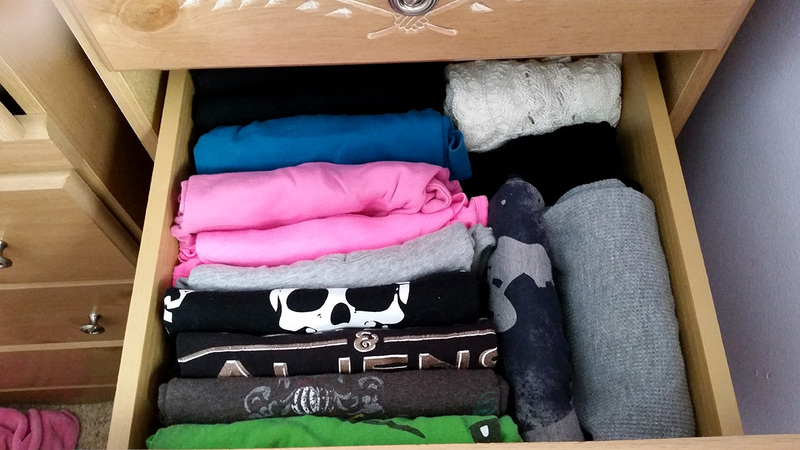 It’s amazing how much more you can fit when you fold this way. 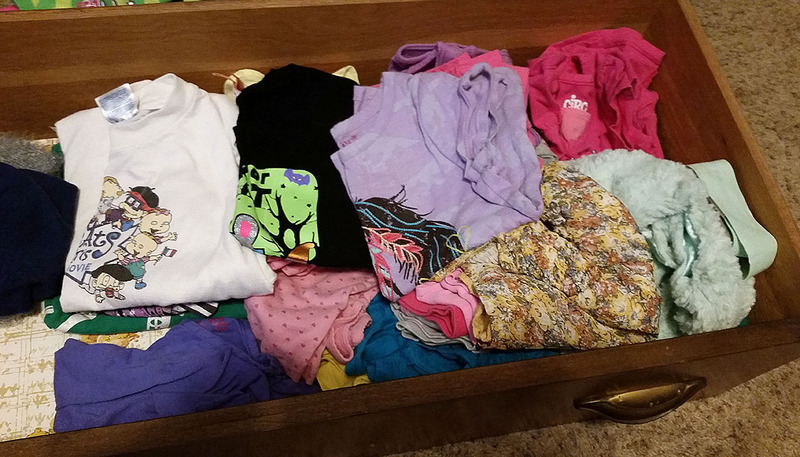 It wasn’t until I organized my drawers and could see all of my graphic tees laid out, that I realized how much joy they bring. (It was also at that point when I realized I own an absolutely ridiculous number of socks!) 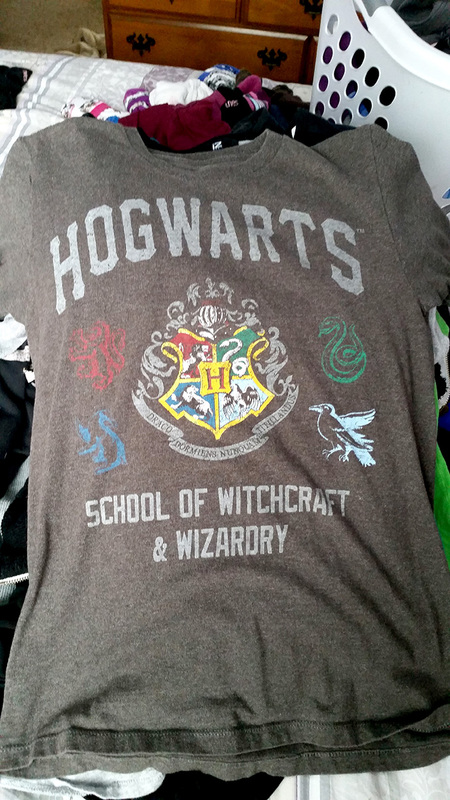 When I see my Hogwarts tee in line with my Green M&M and Transformers tees, I just feel happy. 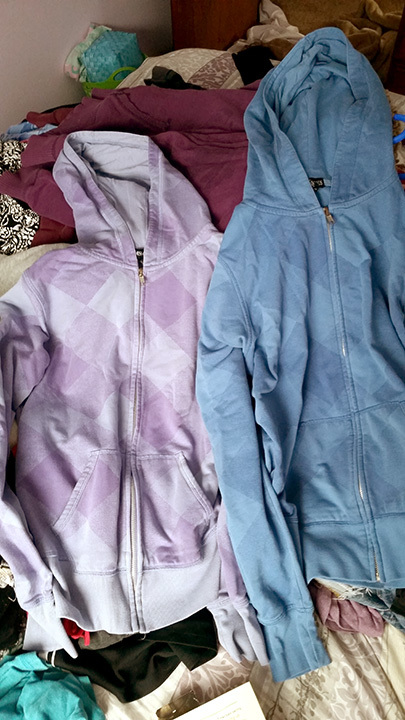 Previously they were hanging in my closet where I had to dig and dig to find them. No more! The ONE thing I don’t necessarily agree with KonMari on is books. As a lover of books, it’s hard for me to part with my favorites. On page 125 she says, “We read books because we seek the experience of reading. Once read, a book has already been ‘experienced.’” While this is true, it doesn’t mean the book needs to go. 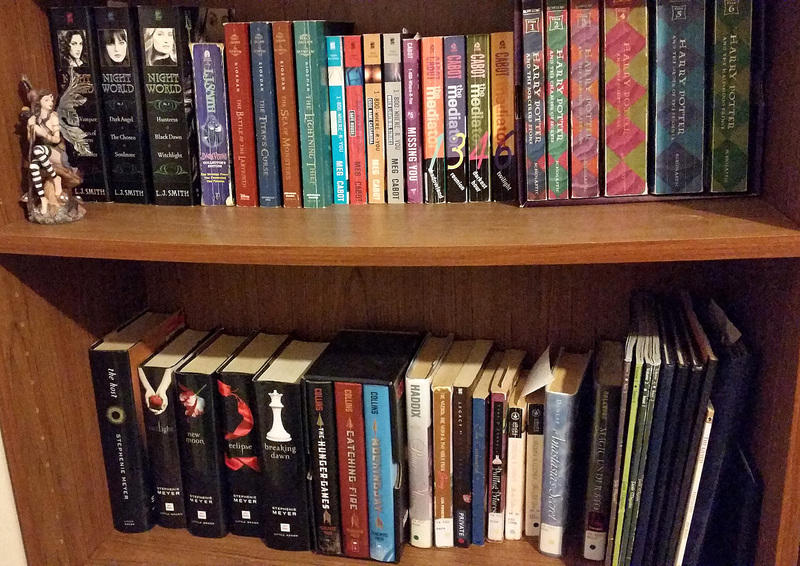 My Harry Potter books will forever stay on my shelf because they bring me joy, (I like diving back into the world of Hogwarts), along with my Meg Cabot Mediator and 1-800-Missing books and my Vampire Academy and Bloodlines books by Richelle Mead. However, you may find that you’ve outgrown some of your books and have no desire to read them again, and seeing them on your shelf does not bring you joy. They’re just wasting precious real estate. So, I do agree on giving your book collection a ‘Joy Check’, but don’t just ditch them because KonMari says to. Just be choosy. Before I even finished the book, I started my journey. 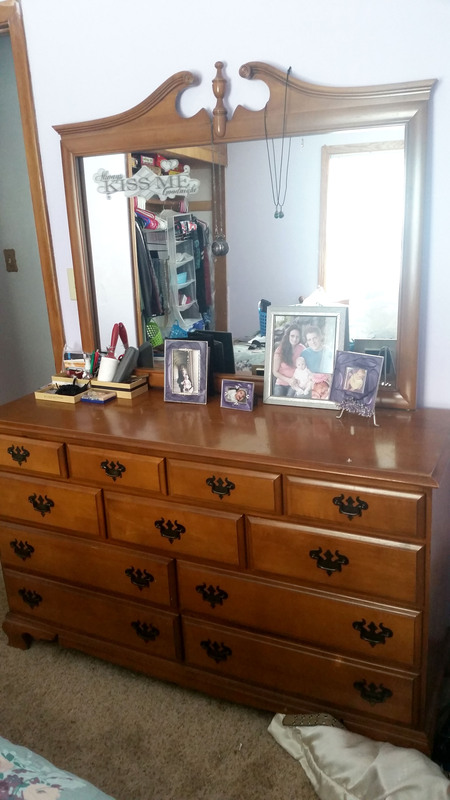 My clothes are reorganized; I was able to remove a dresser from my over cluttered bedroom (houses built in the 50’s were not built for the lifestyles of people today!) 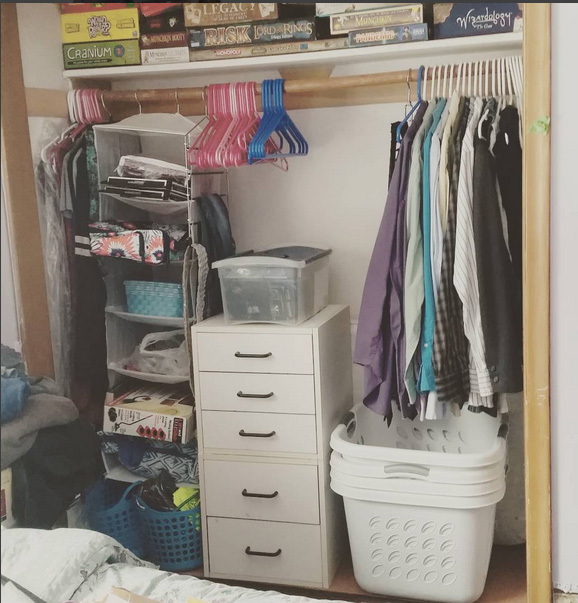 I still have to actually physically remove some of the items from my home, but it’s done – for myself, my husband, and both my young children. I’ve also started step 2, which is the books and papers. 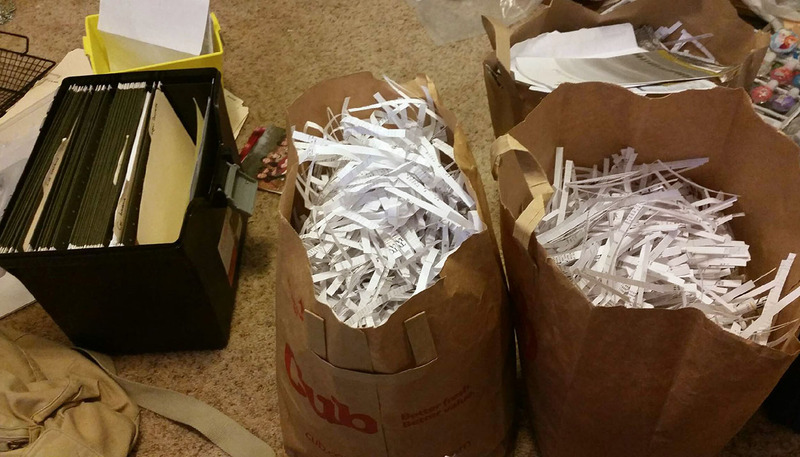 When you realize it’s 2016 and you’ve got a car insurance statement from 2006 for a vehicle that want kaput in 2007, you know you’re overdue on shredding and need to reassess which papers to keep and which to ditch. One more thing to add, I think some people believe KonMari wants you to ditch absolutely everything and live a minimalist lifestyle. To an extent, that’s true, she encourages you to downsize and get rid of what you don’t need and what no longer brings you joy. However, she has little stories peppered in the book, including a few about clients who absolutely love an item, but it really doesn’t have a purpose, so they’re willing to say goodbye. However, she stops them and asks, does it bring you joy? And if the answer is yes, she helps them find a way to display it in their home. My ceramic dragon and faerie figurines bring me joy, I’m not going to let them go just because they don’t serve a practical purpose. Their purpose is to bring me joy when I look at them. So, don’t come into this book expecting to be told to ditch everything you own, because that’s not the case.